METRO is extending its free rides to all area students through Oct. 31, 2017. Many families are still dealing with limited transportation options and disrupted schedules since Hurricane Harvey, and METRO continues to help. Students are encouraged to show their student ID and do not tap the METRO Q® Fare Card when boarding. 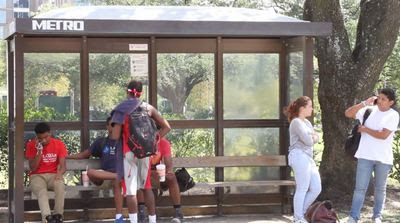 • Information about METRO’s routes and schedules can be found at RIDEMETRO.org.